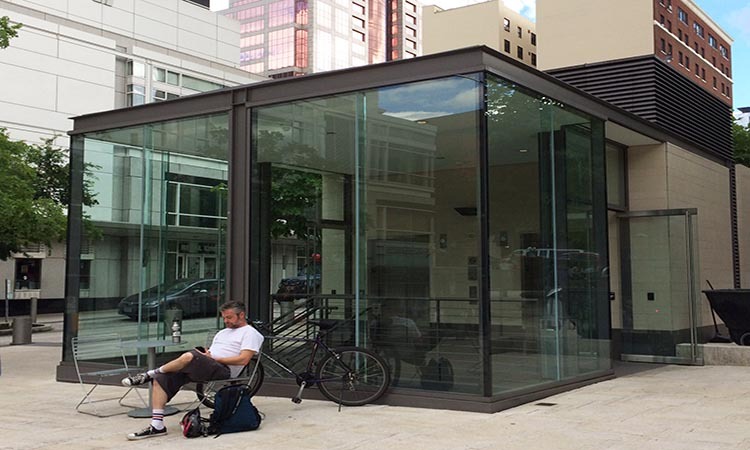 Director Park, located between Yamhill and Taylor on Park, is one of the Park Blocks, a series of consecutive parks in downtown Portland that originated in 1848. The Park Blocks ended up being divided into the South Park Blocks and the North Park Blocks. 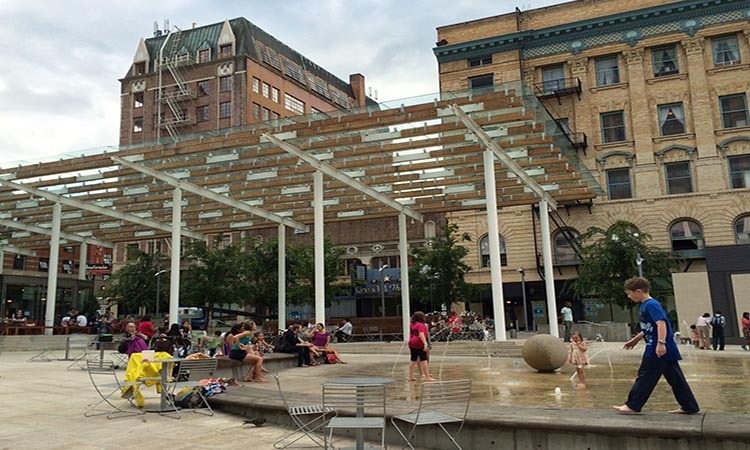 Director Park is a way to connect the two sets. 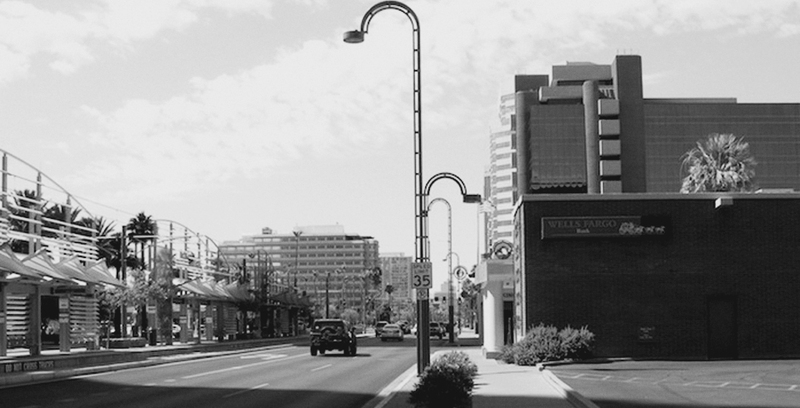 Believe it or not, Director Park narrowly escaped the fate of becoming a 12-story parking garage in 1995. 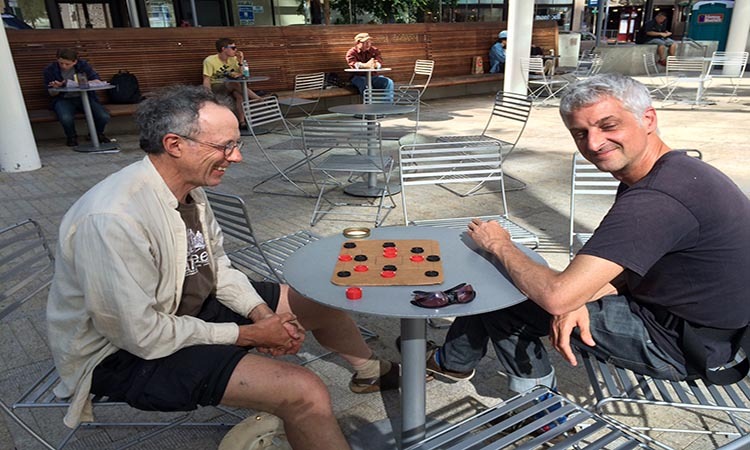 Thankfully, more visionary leaders, like then mayor Neil Goldschmidt and developer Tom Moyer, interceded and the block became a public park instead. And what a good thing too! The park, designed by Laurie Olin of The Olin Studio and ZGF Architects, is one of the best public spaces I have ever seen. It is always filled with all sorts of people having fun. 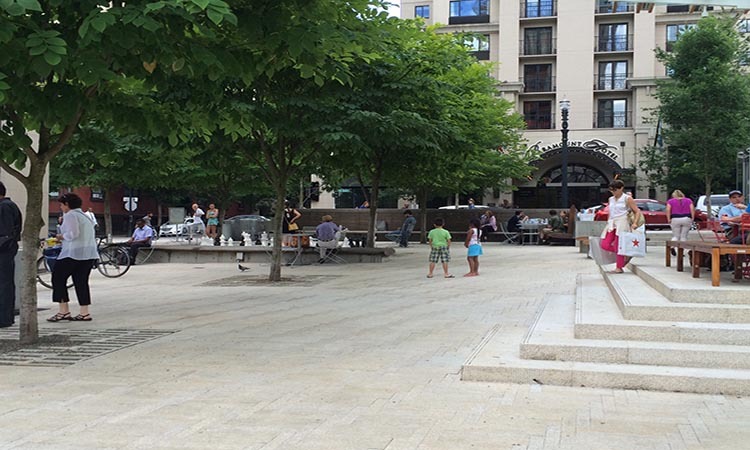 Here are 21 reasons I think Director Park is one of the most successful public spaces in the world. 1. Accessibility. One of the best things about Director Park is the way it uses grading and elevations. It slopes when it needs to, is level where it’s called to be and uses stairs where they make sense. This makes the park accessible to wheelchairs, bikes, skateboarders, little kids, the elderly and anyone who isn’t able to negotiate steps easily. You can enter the park on wheels, travel within it anywhere you need, and leave the park without once having to negotiate a stair step. 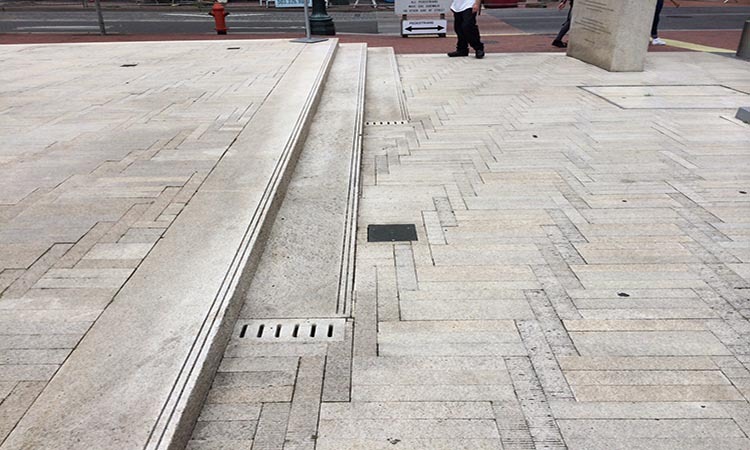 Yes, this is basic universal design, but it is masterfully done at Director Park. 2. Different kinds of seating. 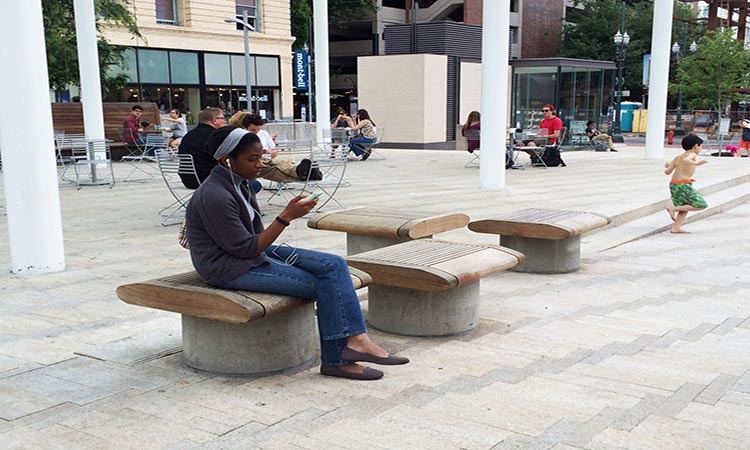 Director Park provides different kinds of seating for different kinds of sitting. Sometimes you want to eat lunch by yourself, sometimes you want to hang out with a group of people, sometimes you want to have an intimate conversation with your best friend, and sometimes you want to be able to sit and get up to run after your little toddler. 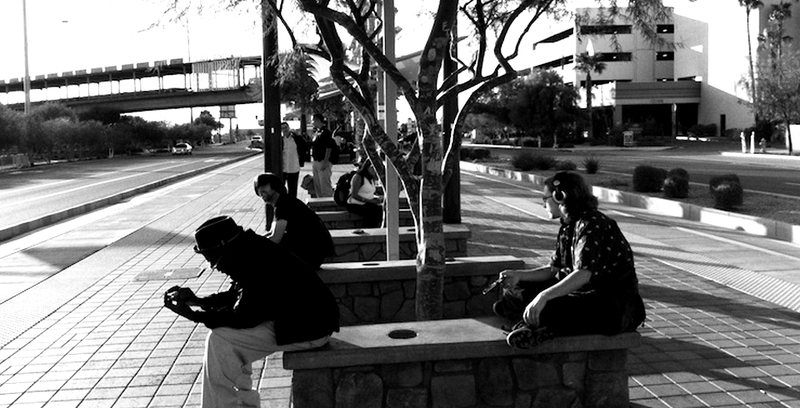 Director Park provides all sorts of seating including tables and chairs, little benches, big benches with tables and informal long benches for just hanging out. 3. It’s in an already walkable area. 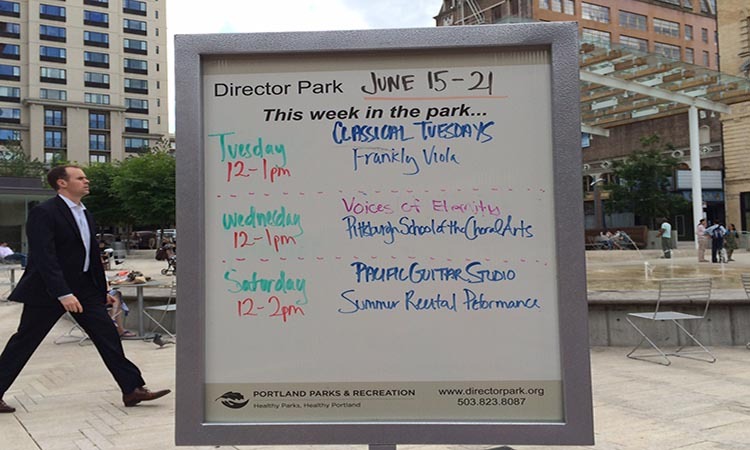 Downtown Portland is an already walkable area, and the Park Blocks are particularly inviting to walk through. This makes Director Park primarily a place you walk to, even though it sits on a parking garage. 4. It is surrounded by retail and restaurants. 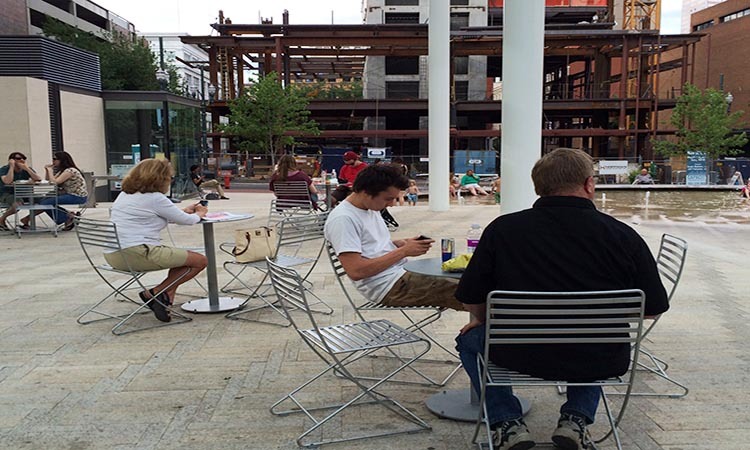 Director Park is surrounded by the mall, storefront retail and restaurants that are already destinations for people. 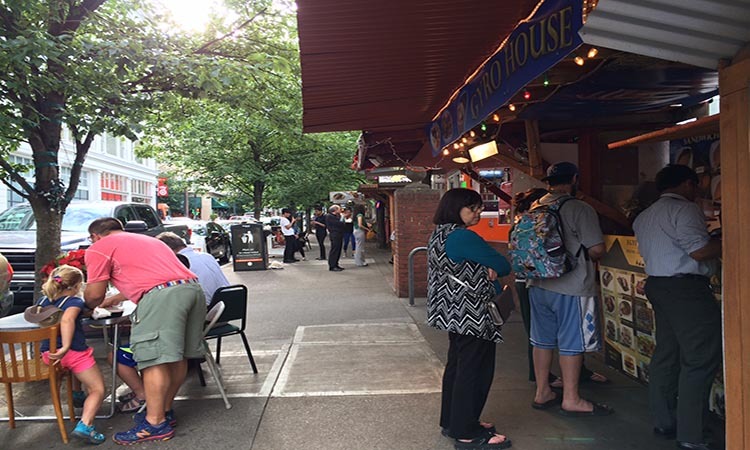 It supplements those destinations as a place to take a break if you’re shopping and eat your food al fresco if you’re eating at a nearby restaurant or food cart. It fits in perfectly as an amenity to support the surrounding businesses. 5. The edges of the park are inviting. The edge of a public space is very important. Does it invite people or does it put a barrier up? Sometimes public parks are surrounded by parking lots, which essentially put up a barrier to people who want to walk to the park. Or sometimes they are surrounded by a fence or by a wall, which may keep the riff raff out but they also keep everyone else out too. The edges at Director Park are completely open, except for cars. 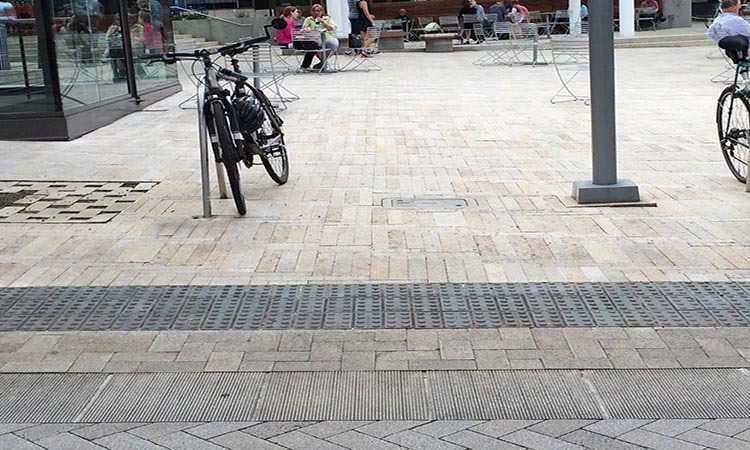 The only barrier around Director Park are these small bollards designed to keep cars out. But if you’re a person, regardless of your age, race, income, dress, preferences, mobility or whatever, you are made welcome in a barrier-free way. 6. Different levels. 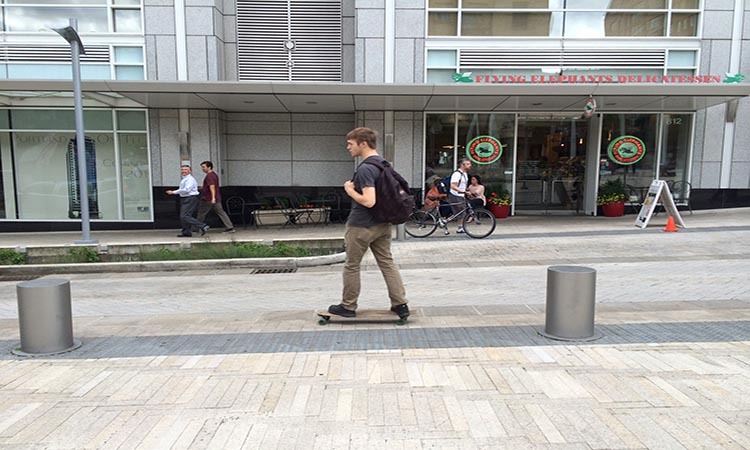 While Director Park does not put any barriers up, it expertly uses different levels to define different areas. 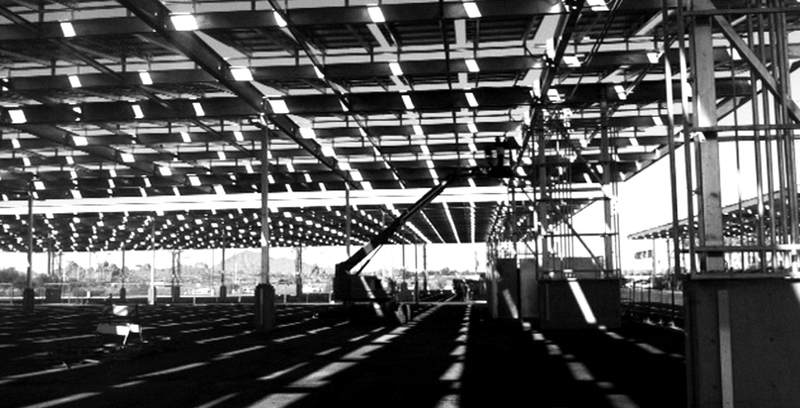 For example, the restaurant area is defined by being elevated. You can access this space by either climbing some shallow stairs or just by navigating on slightly sloped ground and not negotiating any stairs at all. 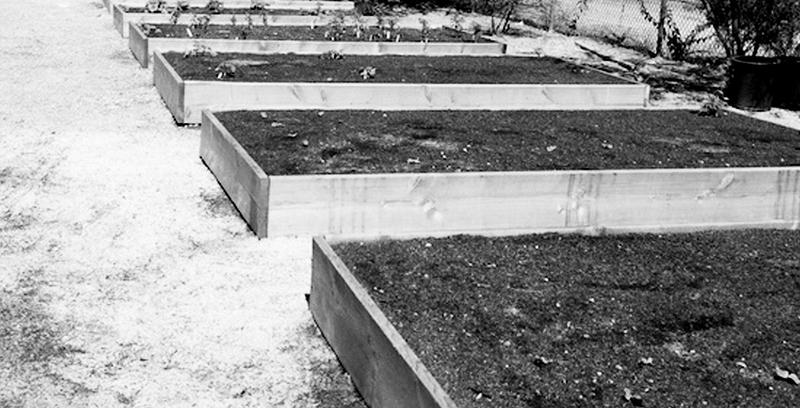 These small changes in elevation help break the park up into different, more intimate spaces. 7. Visual continuity. Director Park has a few trees and even a few buildings and a shade structure, but it is visually completely free and clear. You can see from one end of the park to the other. This helps with safety and also community building. 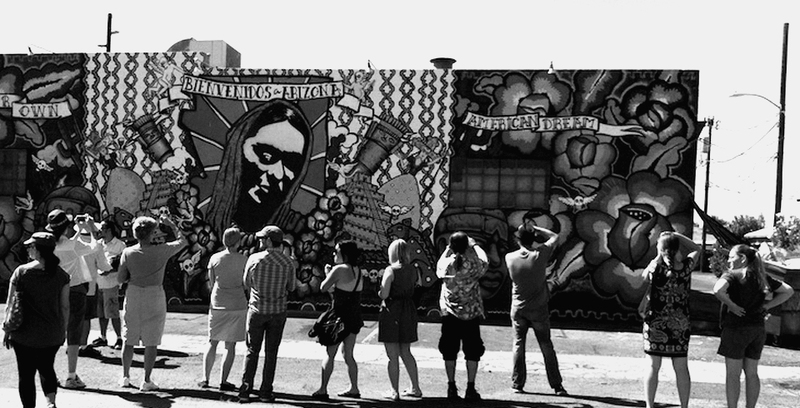 Being able to see and be seen is extremely important to feel safe. 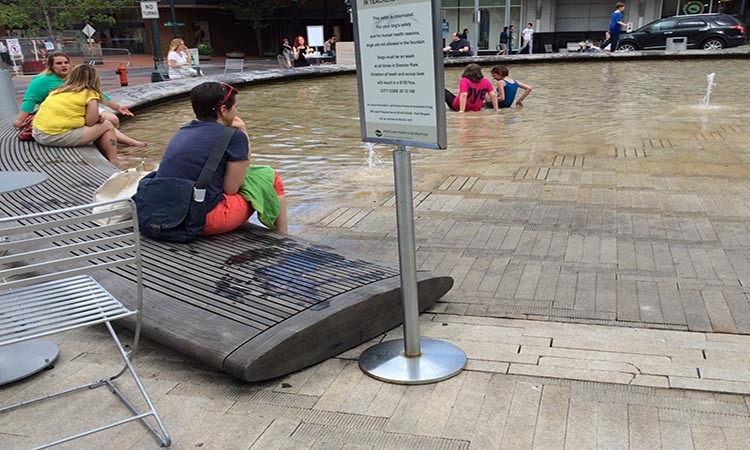 Plus seeing and being seen are essential ingredients of making a public space fun to be in. 8. It is not stingy. 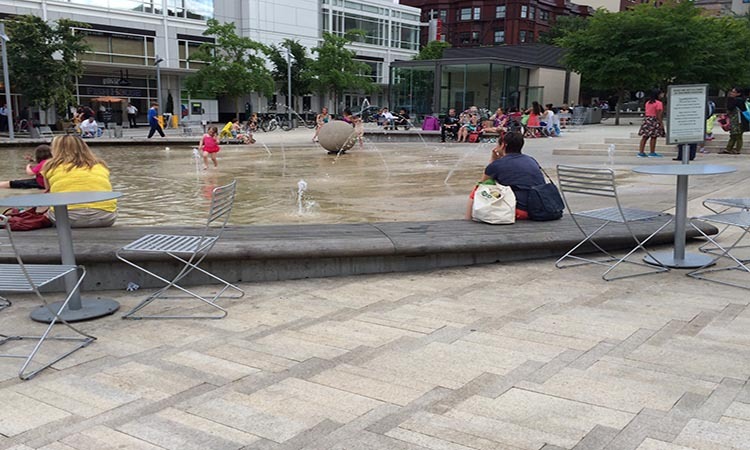 Director Park is generous in its seating, in its free fountain, and just in its very presence as a free amenity open to all. 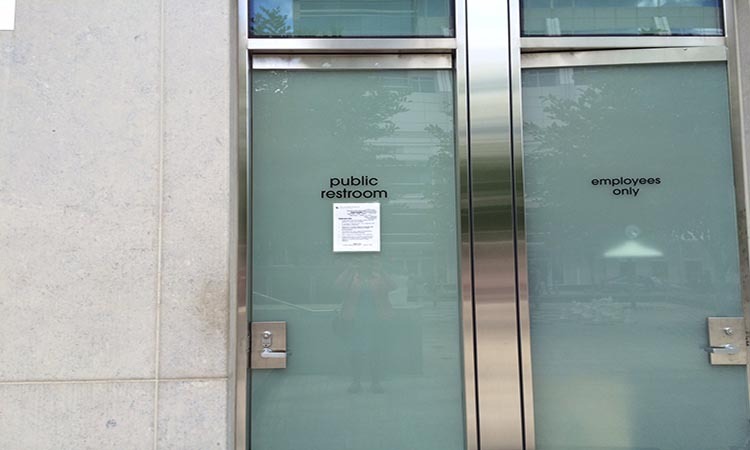 It also provides a free public bathroom, (which is beautiful and clean). The public bathroom makes it much easier and more feasible for people to spend a long time at the park. There is no need to rush at Director Park. 9. 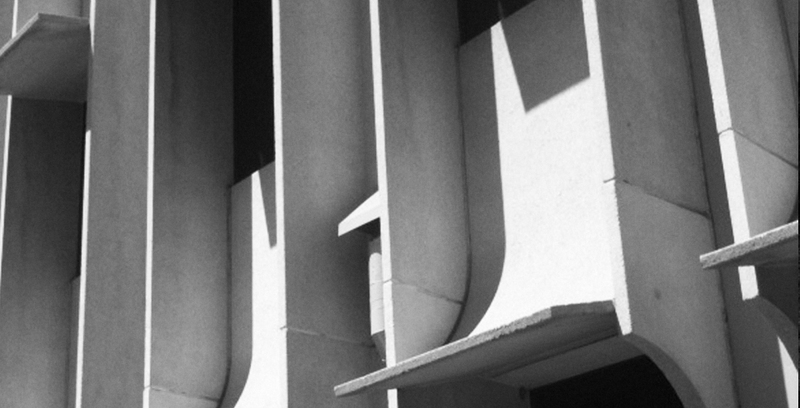 Subtle ways to define space. 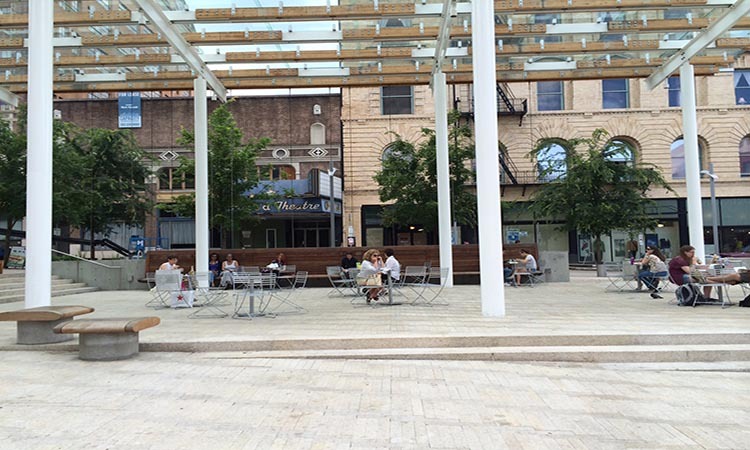 Space is defined by the different kinds of pavers, different elevations, different groupings of seating and rain cover. All of these methods define different spaces within the park without putting barriers between them. 10. Everything is transparent. All the buildings in the park, including the elevators to and from the underground parking, the restaurant and the shade/rain structure are made with glass walls. This allows for transparency, useful both for safety and for allowing connectivity between people, even when they are inside a building and you are outside. 11. 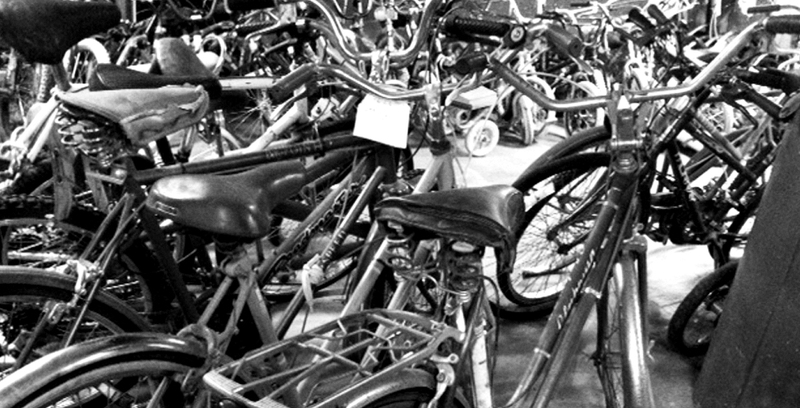 There is plenty of bike parking. 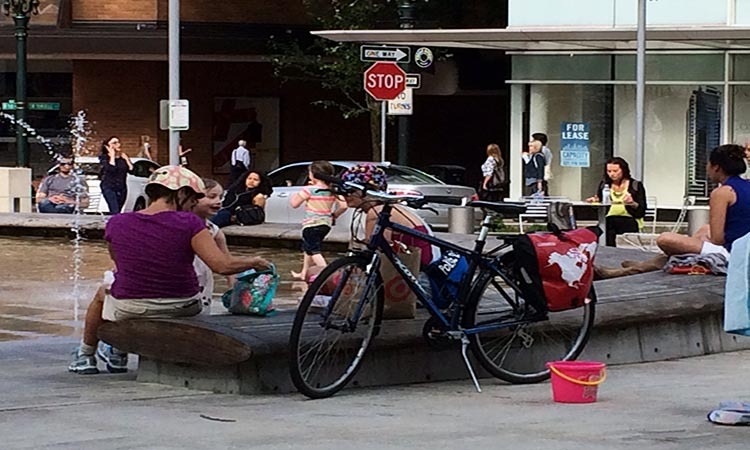 There is plenty of bike parking inside and surrounding Director Park. 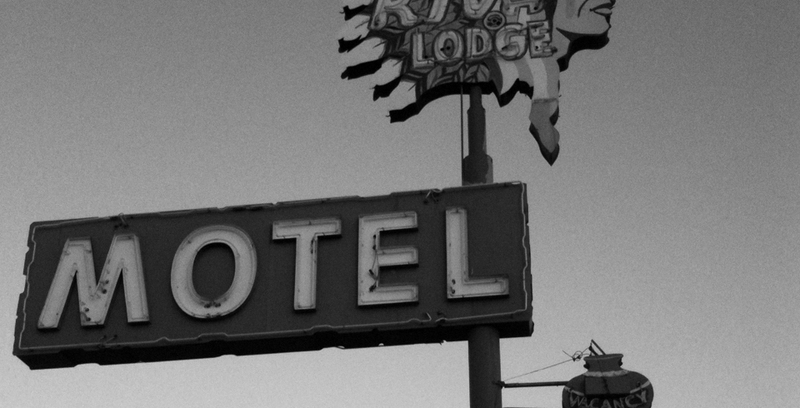 This is yet another generous amenity that invites. 12. 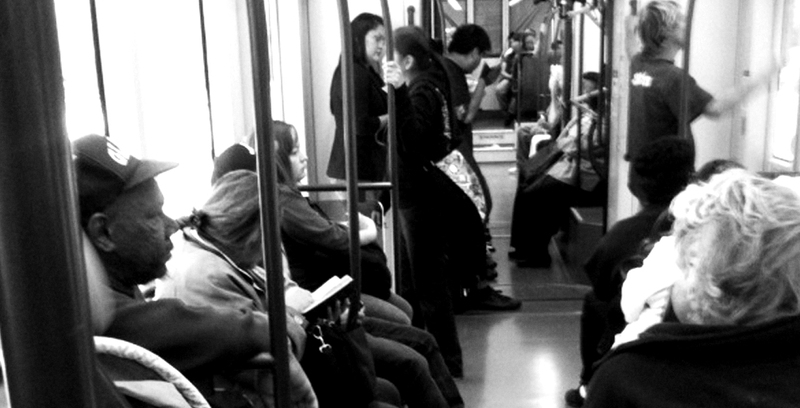 It is a multimodal space. 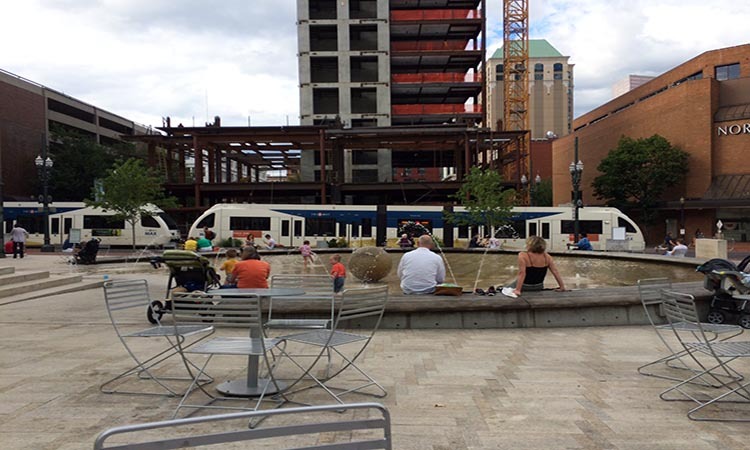 Director Park is a multimodal space. 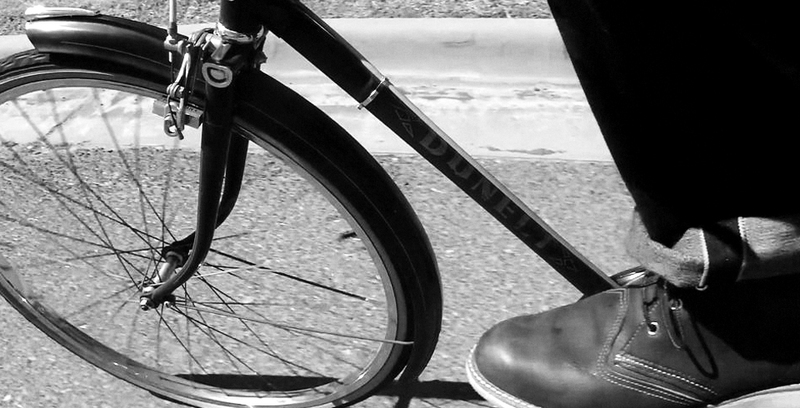 The only mode of transportation that is not invited is the car. But even the car is accommodated, as there is a parking structure underneath, so that people in cars can come to the park. But the park itself is a car-free space, which in and of itself, makes it open, inviting and safe to everyone else. 13. It is kid friendly. 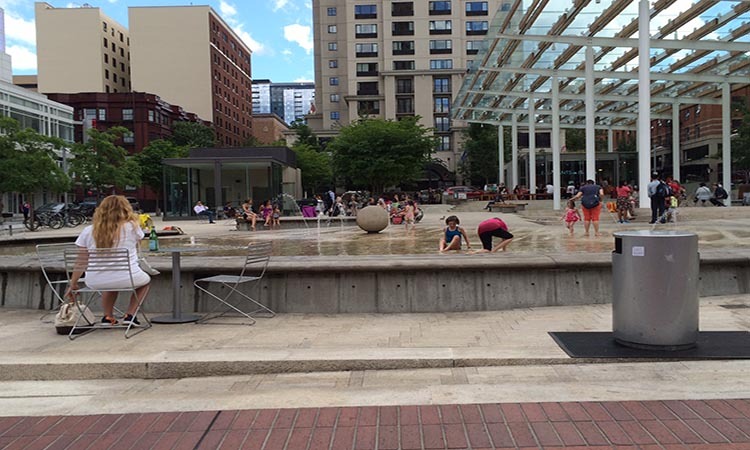 Director Park doesn’t have a plastic playground, but it does have a beautifully designed fountain. 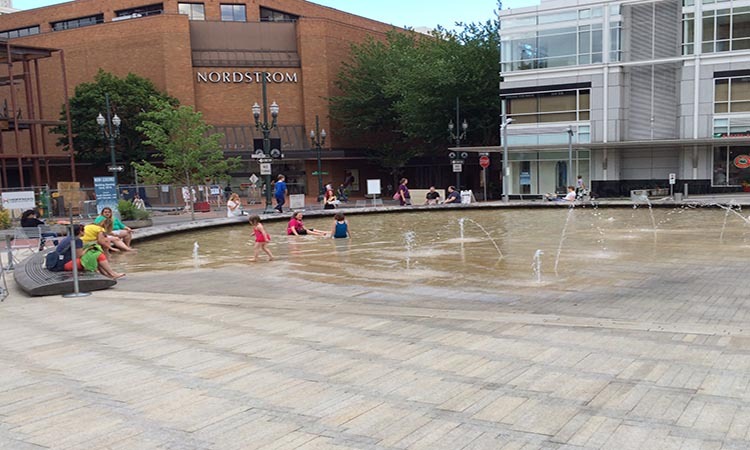 This fountain is a boon for children who can spend hours playing in it in warm weather days. The fountain is surrounded by this beautiful circular wooden bench that not only defines the edges of the fountain area, but it provides seating for onlooking parents. Also note the precise way the circular bench illustrates the different ground levels of the park – touching the ground at one end, being high up in the middle and coming back to touching the ground at the other end. 14. It is well maintained. 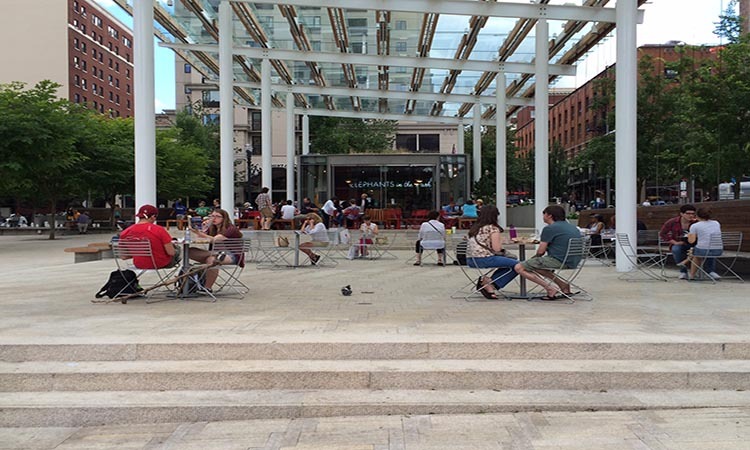 Director Park is well staffed by the city. Food trash doesn’t sit long on the tables and the ground surfaces are kept clean at all times. 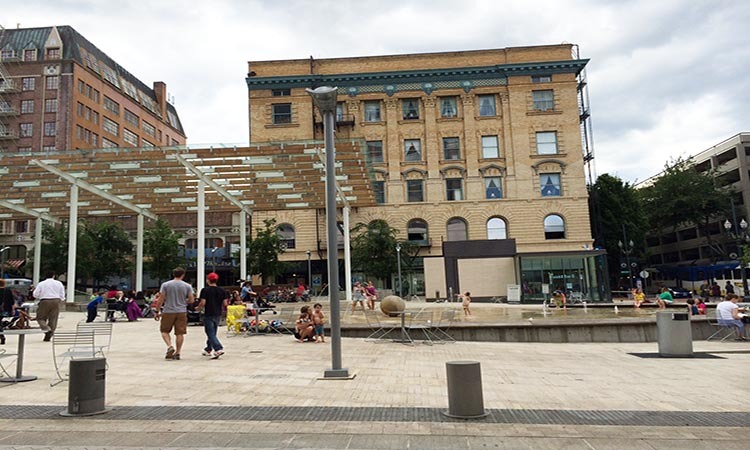 This is also part of the generosity of the park – providing a clean space for people to hang out in in the midst of a bustling urban environment. 15. It has a restaurant. The Elephant Deli has a satellite location right inside the park. This automatically guarantees that people will come to the space. It creates a reason for people to go to the park, other than just hanging out. 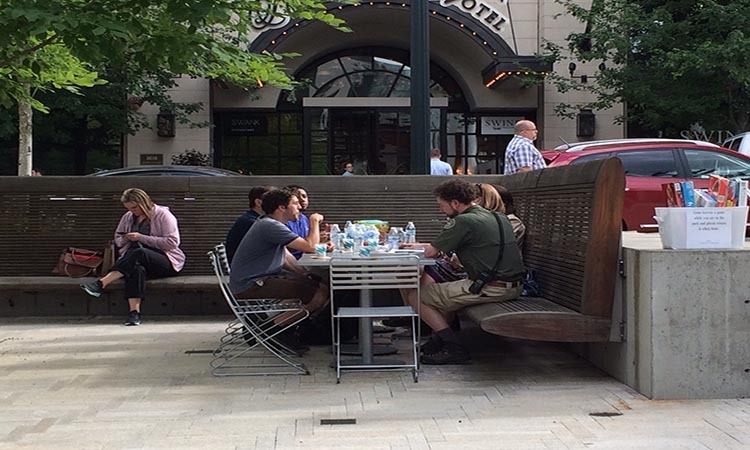 You can go to Director Park for “lunch”. 16. 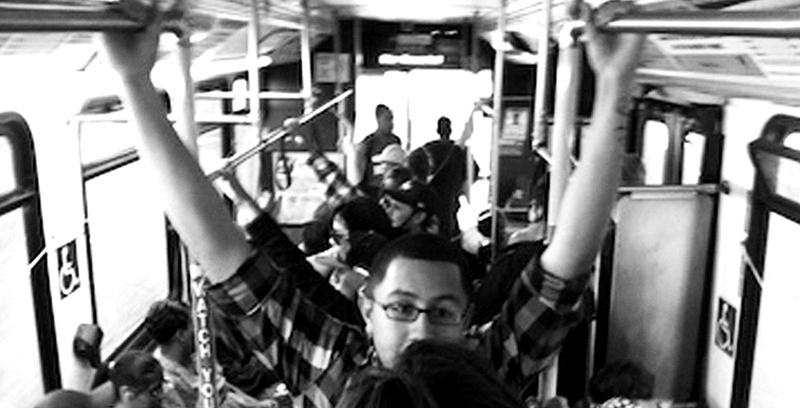 It is close to food carts. One of my favorite things to do is to get food at a food cart on the pod just a two blocks away on Alder and 10th and bring it back to eat at Director Park. 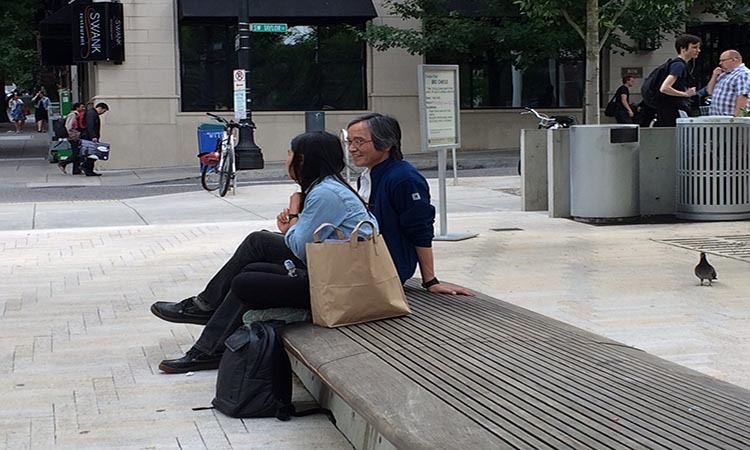 Usually there is very limited seating at the food cart pods in Downtown, so combining your food cart excursion with Director Park is a brilliant idea. 17. It is next to the Light Rail. 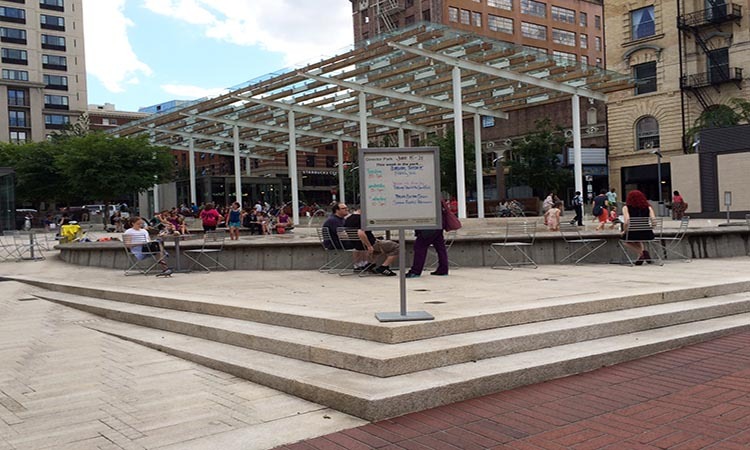 Director Park abuts the Max route. 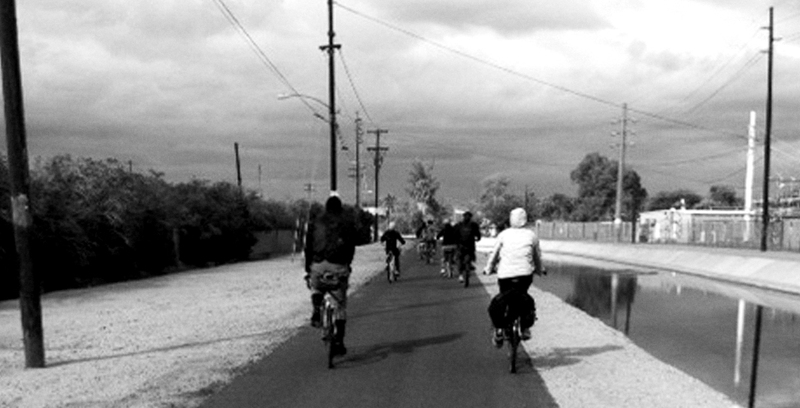 This provides yet another means for people to get to the park and makes it multimodal. 18. It has games. When I go to cities like Barcelona and Paris, I always see people playing horseshoes or bocce ball or chess in public spaces. 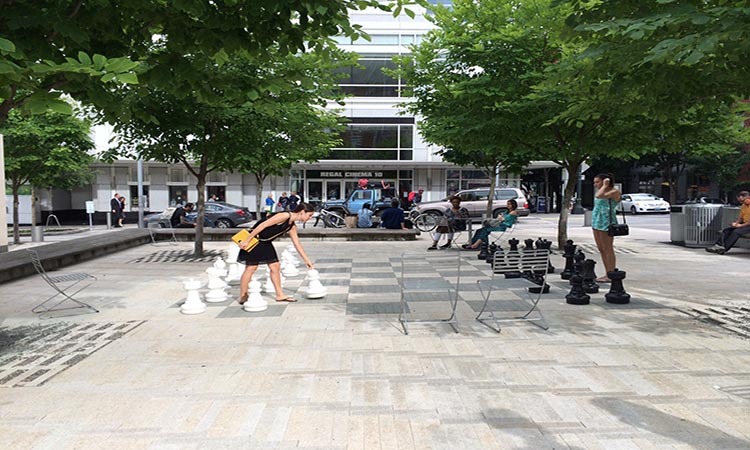 Director Park has co-opted this idea and has provided not only board games for public use but has actually incorporates a people-scale chess game on the south side of the park. 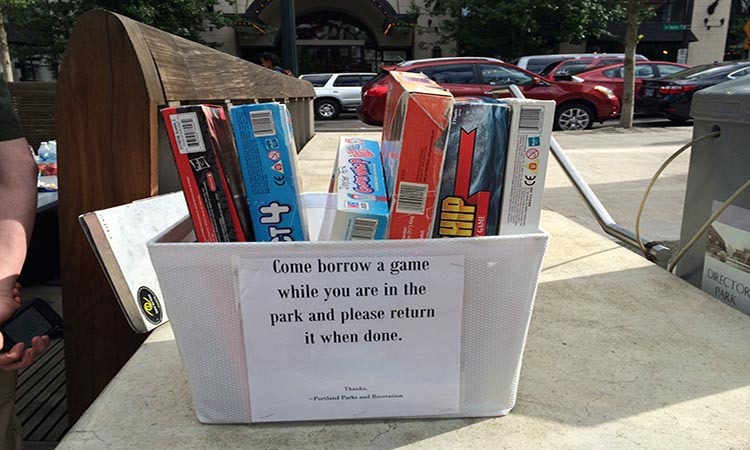 Games help activate the park and help people enjoy themselves and connect with others while there. 19. It hosts events. There is great programming at Director Park. There are yoga classes, dance performances and live shows. 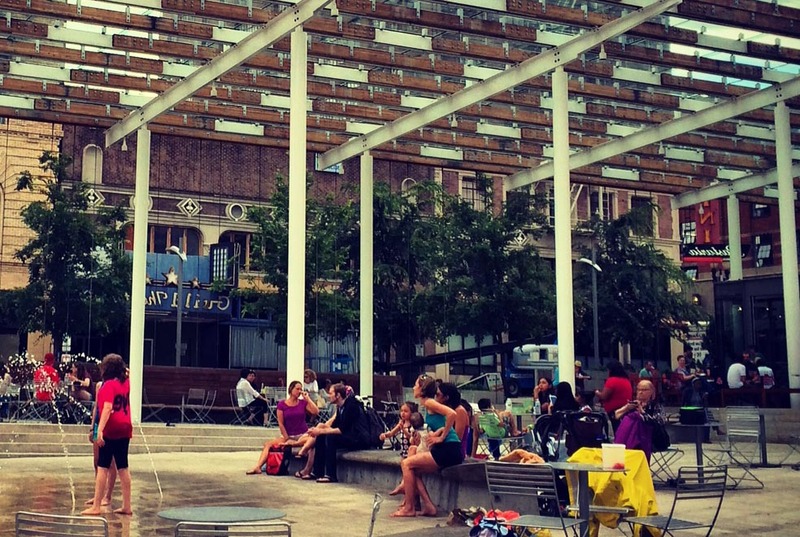 All of this activates Director Park for community events that can be enjoyed by everyone. 20. But it also is mainly designed for everyday use. 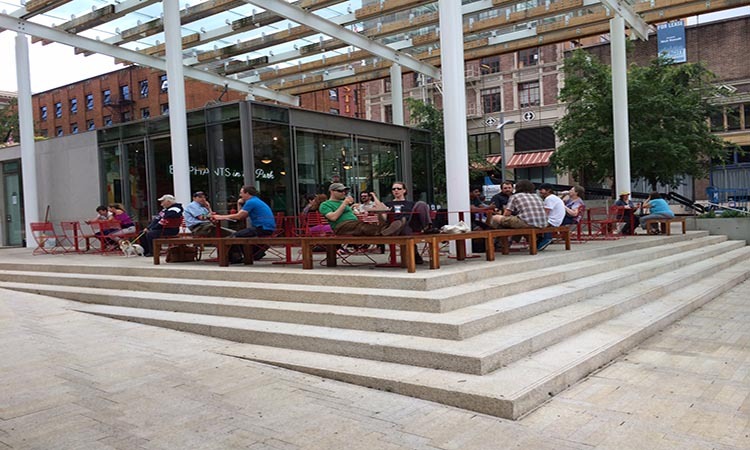 Some public spaces are so wholly dedicated to the events they host, they becomes unwelcoming to everyday use by everyday people who just want to hang out. The waterfront on the west side of the Willamette is a bit like this. 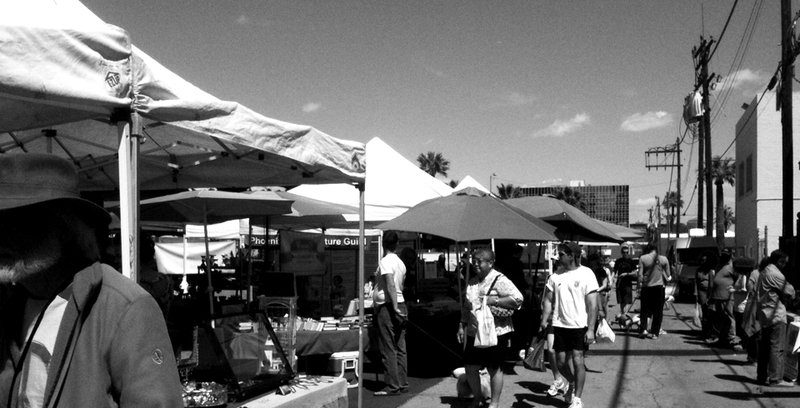 The space is mostly designed to host fairs like the Rose Festival and others, but doesn’t have many amenities for everyday use. 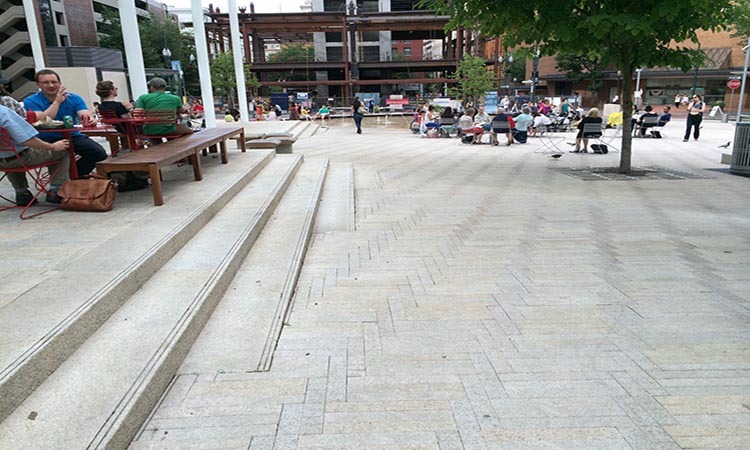 Director Park is first for everyday use and second for hosting events. 21. It attracts people of all walks of life. 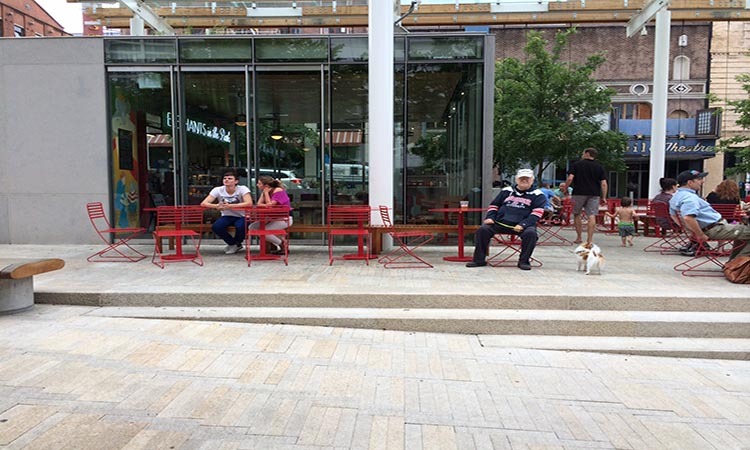 You will see all sorts of people at Director Park. Parents, kids, old people, young people, people of different ethnicities, tourists, locals, business people, the unemployed, people on bikes, people who are alone, people in groups, couples, singles and anyone else you can think of. This is the measure of a great public space. Photo Credit: All photos by the author. If you enjoyed reading this post, please consider making a donation to help with the upkeep and maintenance of the Blooming Rock blog. Laurie Olin, not Laura Olin. Thanks for the correction Matt!